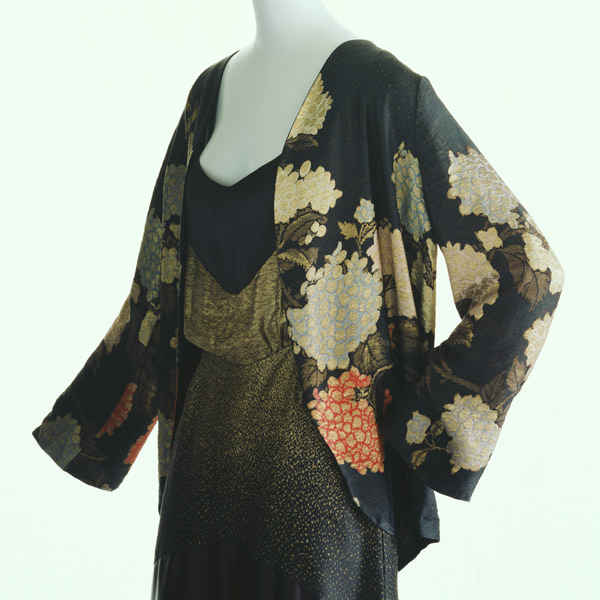 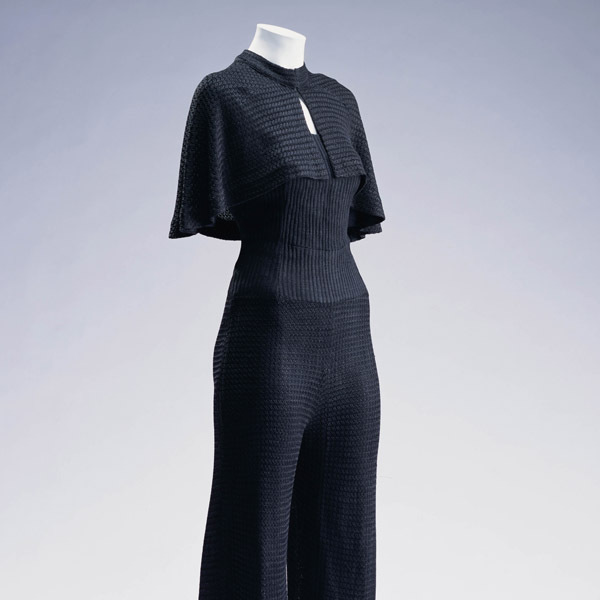 Black plain linen; plaid pattern with paillette embroidery; underdress of crepe de Chine. 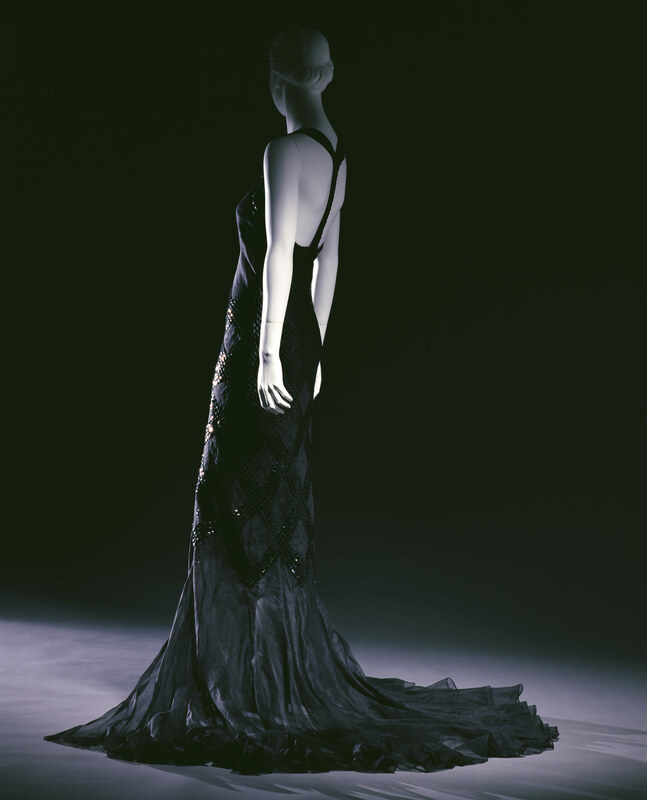 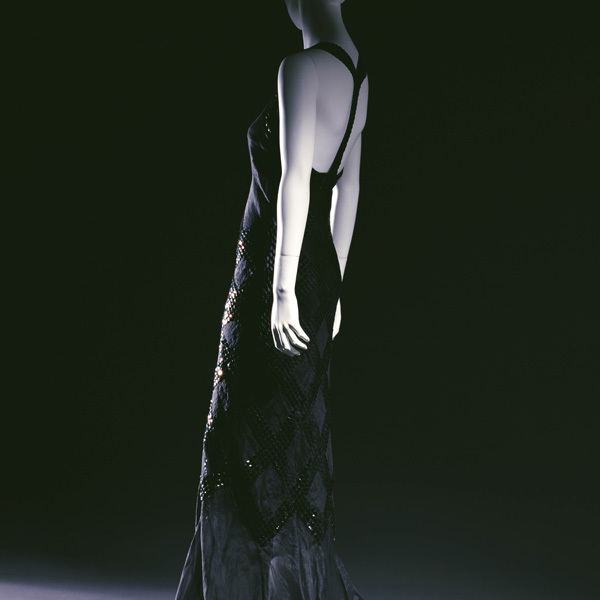 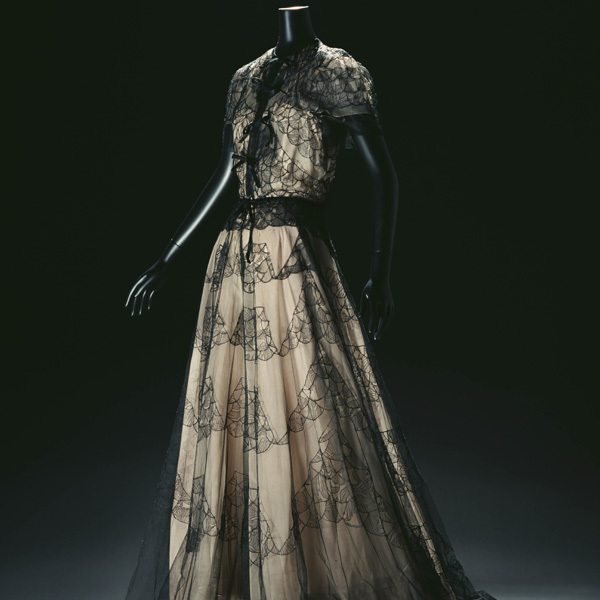 The dress of mermaid line, made of thin and soft organdy, represents Lanvin's elegant technique which enables her to give an impression of lightness in spite of the long train and brilliant embroidery. 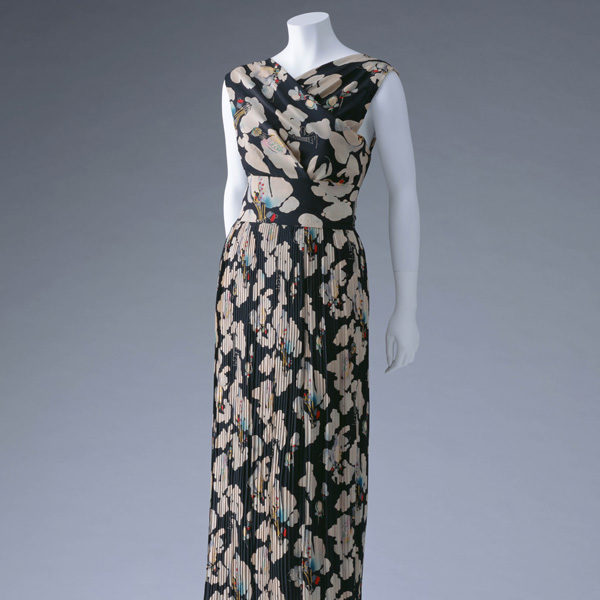 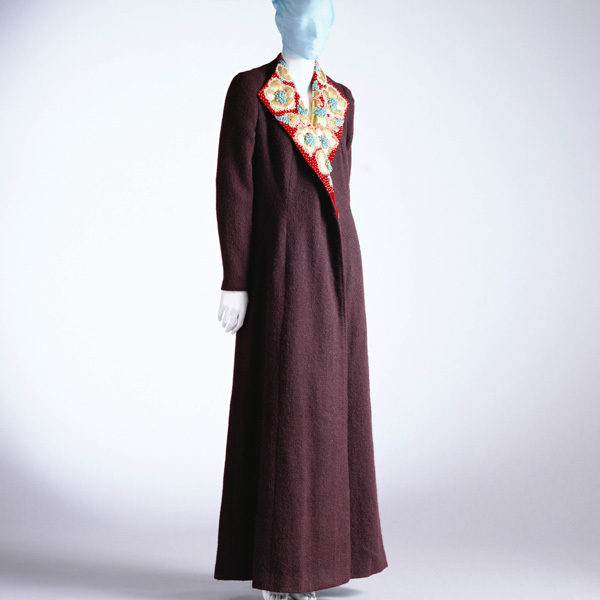 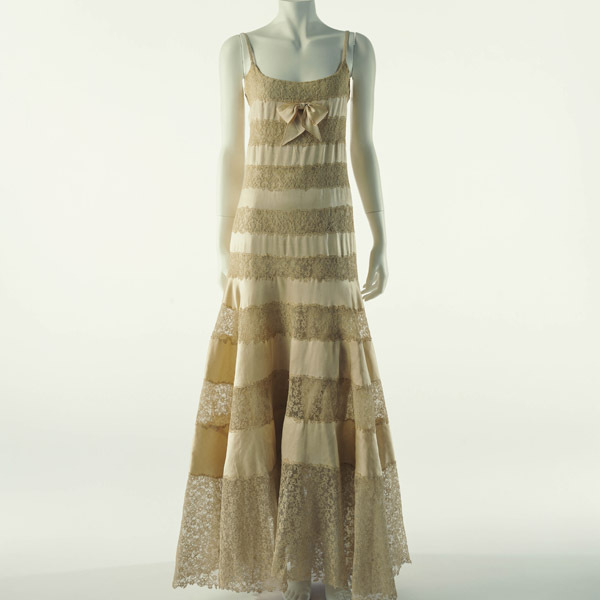 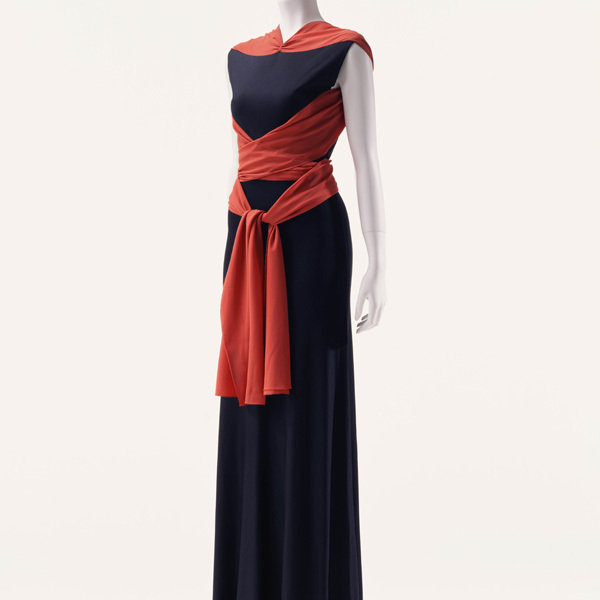 The elaborate long dress came back into fashion in the 1930s, despite the serious economic conditions caused by the Great Depression of 1929. 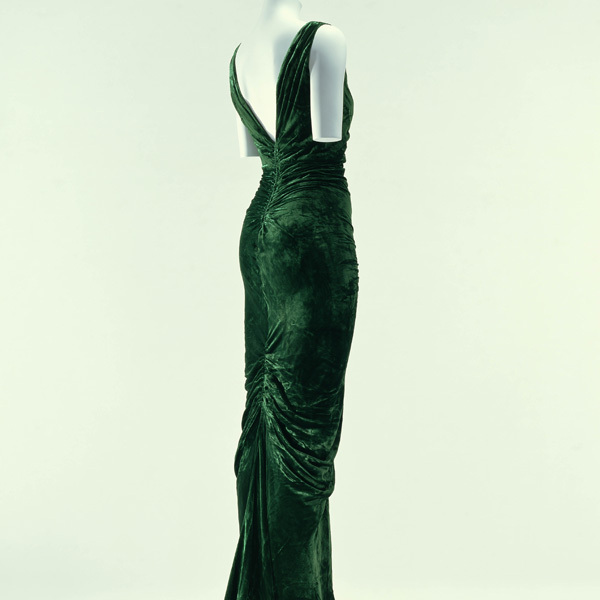 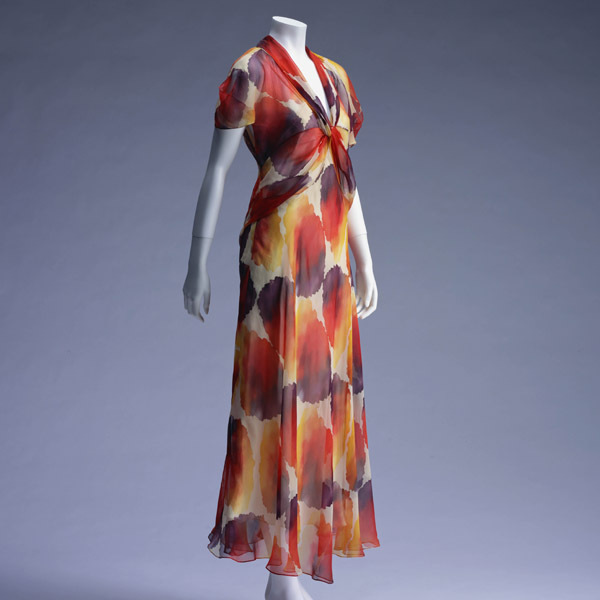 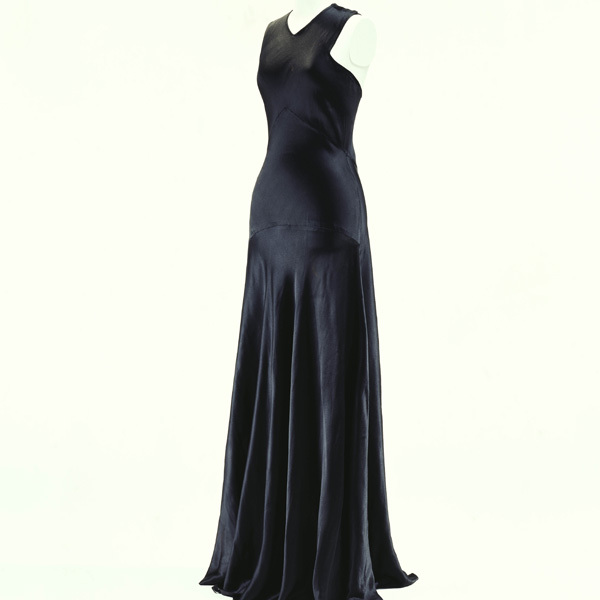 The curved body line that characterizes women also returned to popularity. 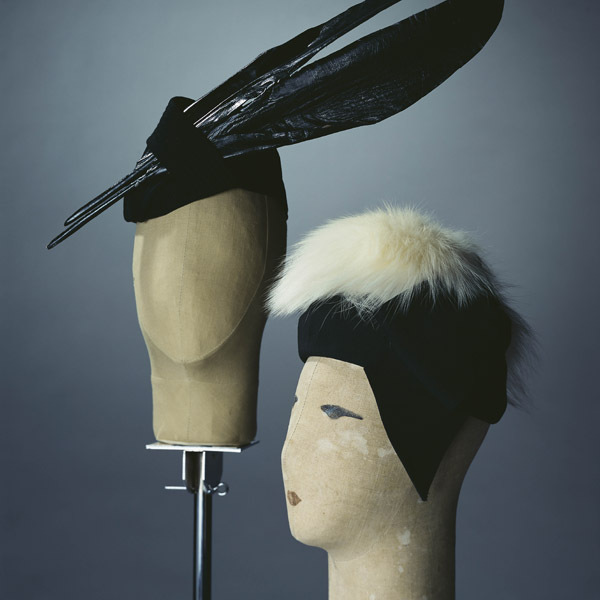 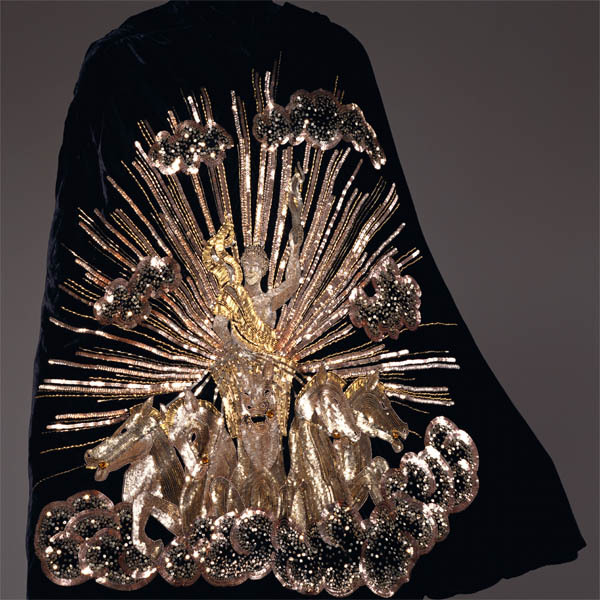 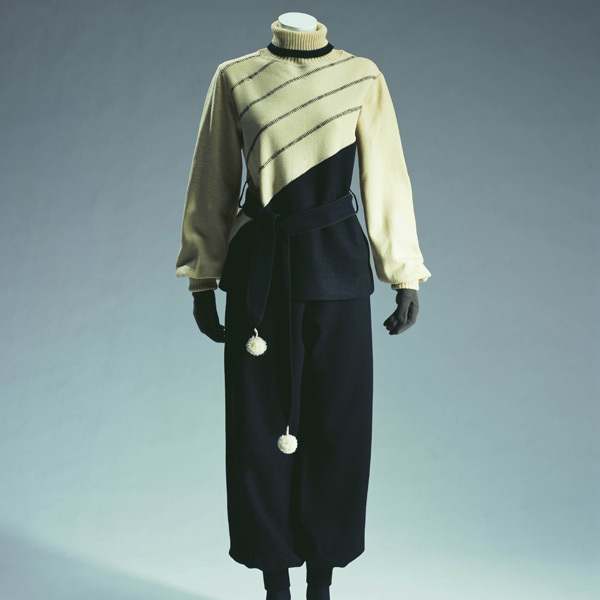 Jeanne Lanvin, who had been running her own atelier for fifty years, had gained unshakeable social status as a Paris "maison" (fashion house).